Anodised bolts are a great way to complete any restoration or rebuild no matter what colour your motorcycle is. If you are building or restoring a motorcycle, you may have seen or heard about anodised bolts but have been wondering what all the fuss is about. Maybe you would like to know what colour you can get anodised bolts in, or what material they are available in. Hopefully this post will clear some of your questions up regarding anodised nuts and bolts. 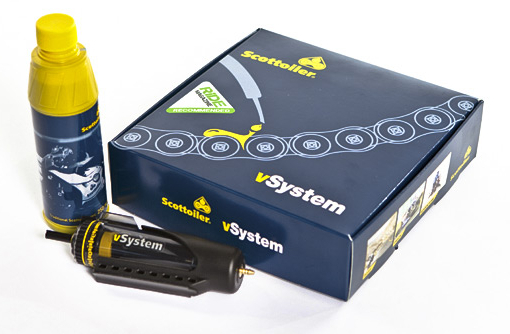 Scottoiler is recognized around the world as a leader in motorcycle chain lube systems. For over 25 years the company has been manufacturing automatic motorcycle chain oilers, which are proven effective at extending the life of the chain. Invented by Fraser Scott, these effective oilers protect the chain against corrosion, rust and deterioration to optimize its efficiency. Converting between axial load an newton meters can be a pain, hopefully this chart will make it a bit easier for you. If you do not have a torque wrench try borrow one from a friend or near by garage (maybe for a charge) or look at investing a small bit of money and buying one. There are some good ones available here .